Do you know which collection your coin is from? Ex-Numis®, a new website, can answer an important question: Has your coin been published at an auction? Instead of looking through thousands of auction catalogues, you can now send a request to www.ex-numis.com. In the last years it has become more and more important to know a coins’ pedigree. On the one hand there are legal requirements, which ask for due diligence. On the other, coins deriving from large, historical collections realize higher prices, compared to coins with no known provenance. Until now, the only thing to do, in order to find out from which collection, that is auction the coin stems from, was to go through thousands of auctions catalogues. A new online tool by Ex-Numis® is now available for collectors, museums and coin dealers, which can be used to look for provenances. Dr Jonas Flueck, a young scholar with a lot of experience in the coin auction business, is the founder of this website. With the help of an image recognition program, the tool compares images fed into the system to an extensive database. The material for comparison is exceptional: the database contains almost a million images of ancient coins and is constantly expanded. The images come from auction catalogues starting in the 19th century up to 2000. The clients’ coin will be compared to images from auction catalogues such as Ars Classica, Otto Helbing, MMAG, Ratto, Rolin & Feuardent and many more. The best: It doesn’t cost a fortune to get your collection checked. Go to www.ex-numis.com to get more information. For anybody who wants to try out Ex-Numis® we are currently providing an introductory offer: Newly registered clients instantly receive 25 credits and can send in their images. The Ex-Numis® staff will then compare your images to the database and will let you know, if there is a direct hit and your piece derives from a large, renowned collection. 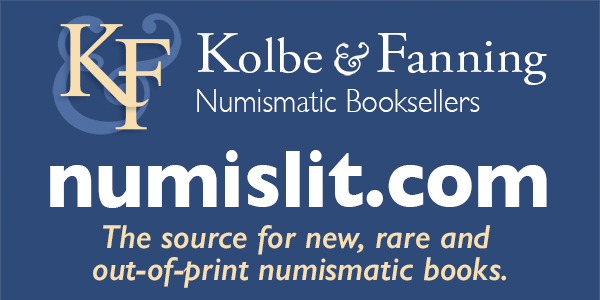 Ex-Numis® makes hours of searching for provenances in old catalogues become redundant and offers you more time to marvel and enjoy the beauty of your coins. You can find the website under the following address: www.ex-numis.com. If you’d like additional information, please write us an email under: info[at]ex-numis.com or give us call at 0041 / 76 / 706 18 19. So, does it work? If so, how well? 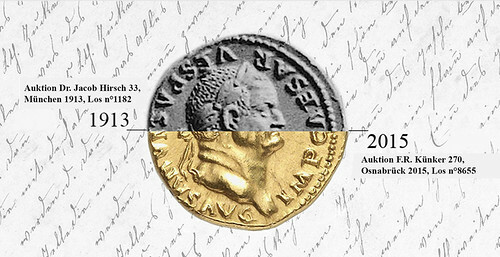 I invite E-Sylum readers knowledgeable about ancient coins to give it a try and report back their results. Use the "First Time User? Get 25 Free Credits!" link: https://www.ex-numis.com/page/news/8 .